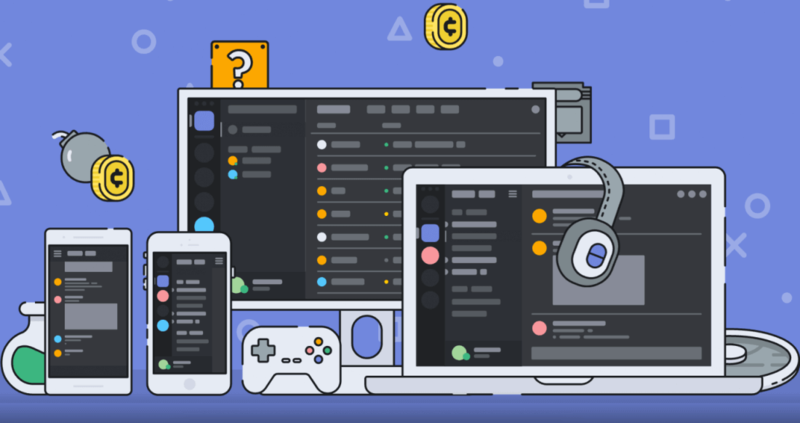 Discord has become the go-to place for PC gamers to chat with their friends, organize major competitive tournaments, or post their favorite cat pictures. Indeed, the communication service has grown so fast that it has all but replaced old chat clients like TeamSpeak, Mumble, and Ventrilo. However, Discord's ambitions don't stop there. The company today announced its plans to take on Steam with its own game marketplace. 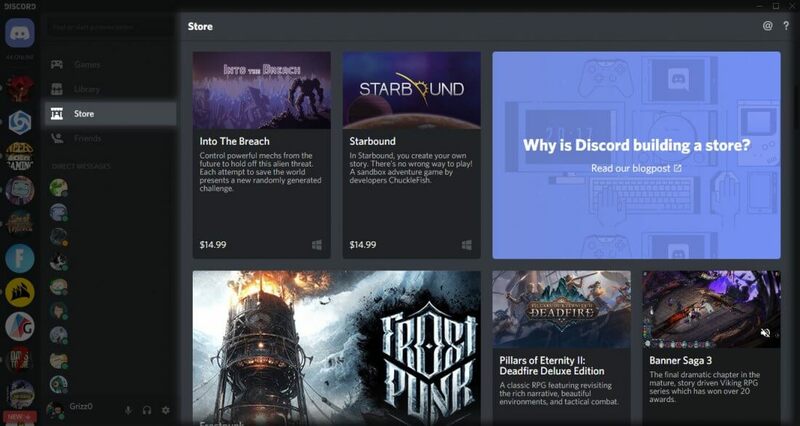 Simply called the "Store," Discord's marketplace will be accessible by visiting the app's home page and selecting the appropriate menu option. 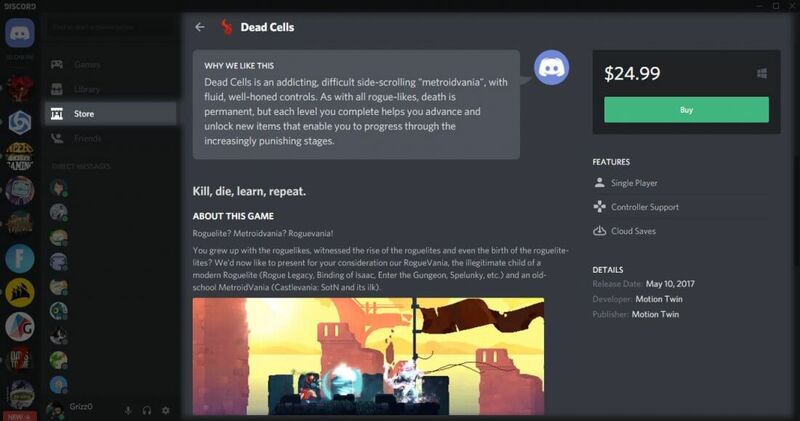 Within the Store, players will be able to purchase games they're interested in and launch them directly through Discord. The Store is pretty simplistic for now -- there doesn't appear to be a way to search for games or organize them by category -- and its current content line-up seems to be limited to indie titles. However, that could certainly change in the future. The feature is currently being tested among a small batch of Canadian users, so their feedback will likely shape the Discord Store's development moving forward. Discord plans to differentiate itself from its competitors by offering 90-day timed exclusive indie titles, as well as a "universal library." This function will let users add games from other gaming clients (such as Steam) or their computers to their Discord library, so they can easily play with friends regardless of where the game was originally purchased. Discord hasn't told us when the Store will arrive for the general public, but we'll undoubtedly learn more in the coming months as the feature gets refined further. Ugh, too many platforms. Never thought I'd say that, but it becomes a valid concern at some point - too much competition can bring about dilution and we start seeing platforms decline and/or fold, taking our digital library with them. But, anyhow, this sounds awfully similar to the Twitch Prime system, which is a little more similar to being a rival to Discord. A bit of apples-to-oranges comparison, but comparing Discord to Steam is more like apples to watermelon. astralcyborg and Polycount like this. A bit of apples-to-oranges comparison, but comparing Discord to Steam is more like apples to watermelon. I don't think it will get as diluted as to jeopardize Steam's existence, unless they drop the ball hard. Yeah I'm not interested. I'm a fan of Discord, but it's not going to replace Steam for me. Steam has been around for a long time and it's very well established. astralcyborg and H3llion like this. Well, I meant it more as a comparison of what the services ARE at the moment, not what they want to become, and how different they all are in scope. Steam is an online game sales & delivery platform, with some other stuff that's been added over time for customer utility, basically. Discord is essentially none of those things (yet) - they are a communications platform & somewhat media-centric utility that is going to try their hand at some of what Steam does. The only basic similarity between the 2 is really that there is a user voice & chat service that Steam provides to its users. But Twitch is also a media-centric portal for communication, mostly about streaming in this case. Much closer analog to Discord in a few respects (mainly video streaming), but still fundamentally different on most levels. Twitch is actually probably a perfect midpoint in a comparison between Steam and Discord - it has the media/communication/streaming thing, and also has branched into online sales and delivery. For what it's worth, I agree - the initial draft of this article was a good deal harsher about Discord's potential, but I tried to keep it more neutral in the end. In short, I feel this is a terrible idea. Not only do I despise the concept of timed exclusives (ESPECIALLY for indie titles, which are supposed to be immune to that sort of nonsense), but Discord's storefront seems harder to navigate, more limited, and it doesn't do anything Steam doesn't already do better - even their refund policy is the same. I'm all for competition, to be clear, but I am not a big fan of being forced to download fifty game clients to play my games. To name all the ones I use right now... Battle.net, Origin, Steam, and GoG (granted, I use GoG's Galaxy by choice because I love it). And I'm probably forgetting at least one. Okay, rant over. I'm not going to write Discord off just yet, but I certainly don't see a good reason to use it's Store for the time being. Uplay, origin, steam, gog, humble, battle.net, Xbox live store/windows store, ncsoft......I don't mind competition and different storefronts what I do mind is all the extra crap software running spyware(origin and ncsoft) and extra stuff that isn't needed like unstable servers and such. These days I use Discord more than I use Steam, and Steams latest attempt to improve their current chat system has tempted me to use it more. If I could transfer my library over to a new client like discord, I would do it quite happily. Don't forget the platform exclusives. Want to play Mass Effect 3? Well tough, you have to install Origin. FO76 that'll be Bethesda's distribution platform. Bioshock used to require Windows Live! but has now moved to Steam. It's like the worst of TV streaming services where you have to register with each different provider to access the content you want. I can understand the old model of console exclusives. Each console had technical hardware differences that had to be coded for, but now they're almost all the same. The Gamecube was IBM PowerPC, but the Switch now uses Nvida Tegra HW, MS has always been x86/64, and PS4 is now AMD x86/64 instead of PowerPC. But let's not pretend this is done for the consumer's benefit. I can understand a company wanting to avoid Steam fees, but they only move it internal to pad their bottom line. Otherwise they'd be passing on those savings, no? Without it being a nightmare. But yeah, it's not really for the benefit of consumers but just a by product of convienance.